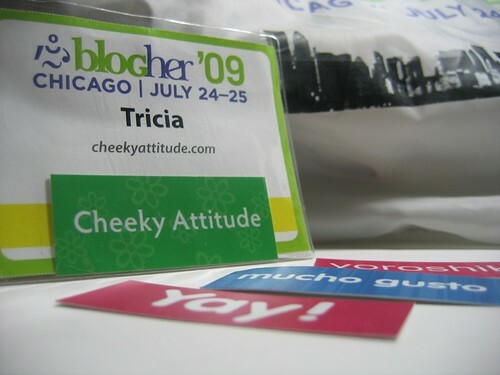 Thank you to every single person who made BlogHer 2009 possible. Founders, staff, panelists, and sponsors – you are all an essential part of what has become my favorite gathering of the year. This year there seems to be a huge amount of talk about the “stuff.” I am overwhelmed and grateful for the many items I received, but what I will keep forever are the genuine hugs I got from people I’ve never been in the same room with before in my life, the enthusiastic greetings from those I only see once a year, and the great conversations and sharing of ideas with new friends. As a BlogHer veteran, – I have been present at every BlogHer since the very first in 2005 – I have seen the conference and organization morph and grow. Just like me. I am not the same exact person I was in 05 and neither is the Blogosphere. We all must change to grow, to remain fresh and relevant. And to survive. I wish all organizations would take the time to follow BlogHer’s practice of evaluating each conference and wholeheartedly embracing what works. I came away mulling the possibility of a photography “Lab” group of sessions. There could be something on craft photography, food photography, portraiture, capturing family moments, etc. Why didn’t I remember my tissues? This is only the second year of the Community Keynote but I cannot imagine a BlogHer without Eden Kennedy’s labor of love. It is a very special time for us all to laugh and cry and cry with laughter. Together, in real life, sitting side-by-side showing one another what we do when we read the posts in our homes, our offices, our local cafes. Thank you so very much for sharing it all, and thank you BlogHer for being the place we can go to find each other. So glad you had a great time! Sounds amazing! One of these years…. Welcome home! I’m looking forward to hearing more about the geeky side.